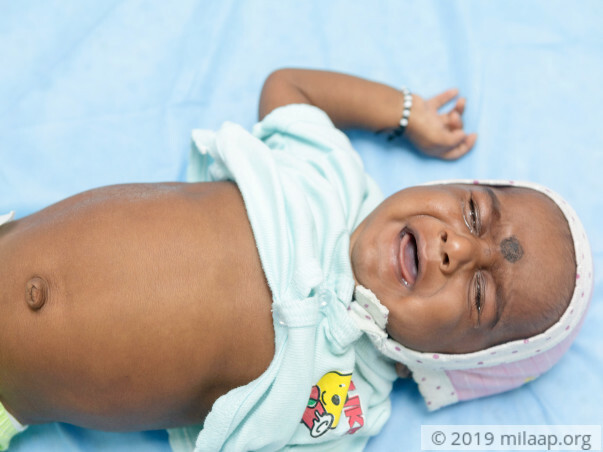 Naga Lokesh is a 4-month-old baby born to his parents 7 years after their marriage. He lives with his parents in a small village in Andhra Pradesh. 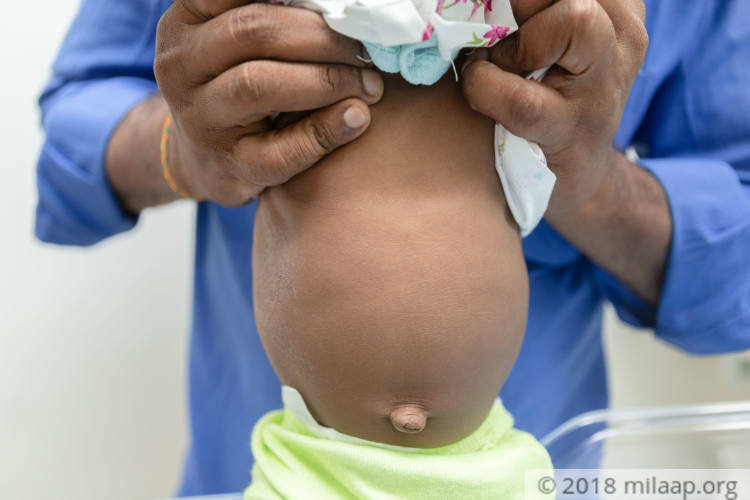 He has liver failure and his parents live in constant dread of not being able to get to a hospital in time if his condition should suddenly go bad. Lokesh needs a liver transplant at the earliest to survive. Lokesh's birth was a very happy event for the family. Kiran and Chaitanya had waited years to have a child. 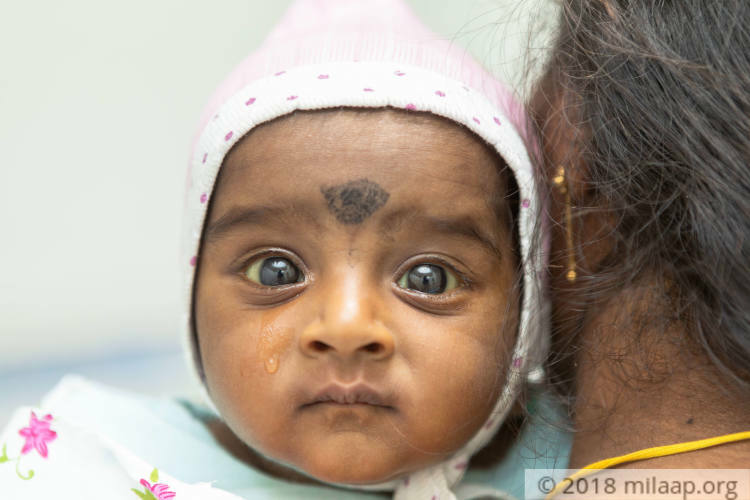 When they saw that their baby was sick with yellow eyes, they took him to the hospital in Tenali – the closest town to their village. They were told that their baby only had slight jaundice. Kiran is a daily-wage farmer who earns Rs 400 for a days' work. What little he had saved for the baby is already spent and he has even borrowed Rs 2 lakhs from local moneylenders. 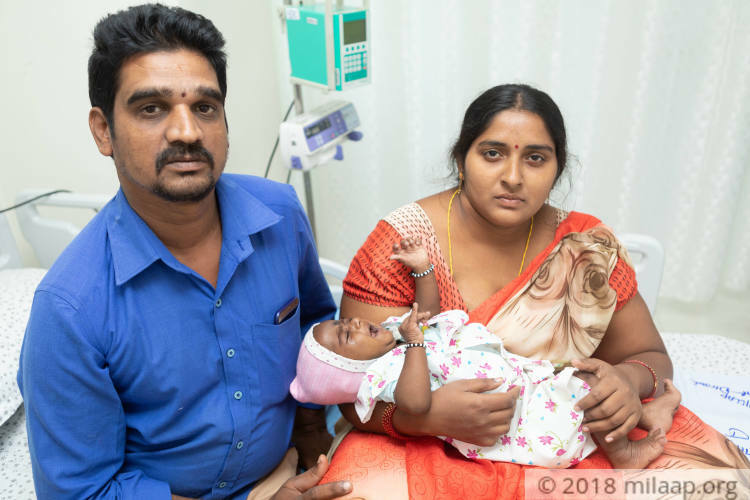 He has asked everyone he knows for help, but it is very hard for him to arrange Rs 18 lakhs in time to save his first baby. 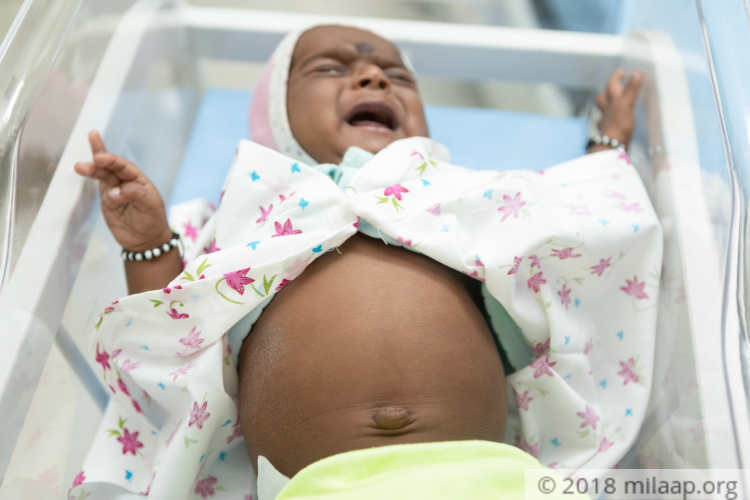 Lokesh was born to his parents after they prayed for him for years. If they can't arrange for a transplant in time, his life will be snatched away. Lokesh spends his days in a lot of pain and discomfort. He has a good chance of recovery but only if he gets a liver transplant in time. Contribute and save little Lokesh's life. Naga Lokesh is doing well. He has been discharged from the hospital and is recovering. He is advised to come for his regular follow ups to the hospital. Master Lokesh is doing well. Master lokesh donor is getting the tests now. Post which the transplant will be scheduled. Currently he is going ok and is stable. Thank you for the wonderful support you have shown towards Lokesh. He has an appointment with the doctor so that they can track the progress of his health. Mother's weight will also be checked as she is the donor and she is reducing her weight in order to donate. Please keep praying for his health.